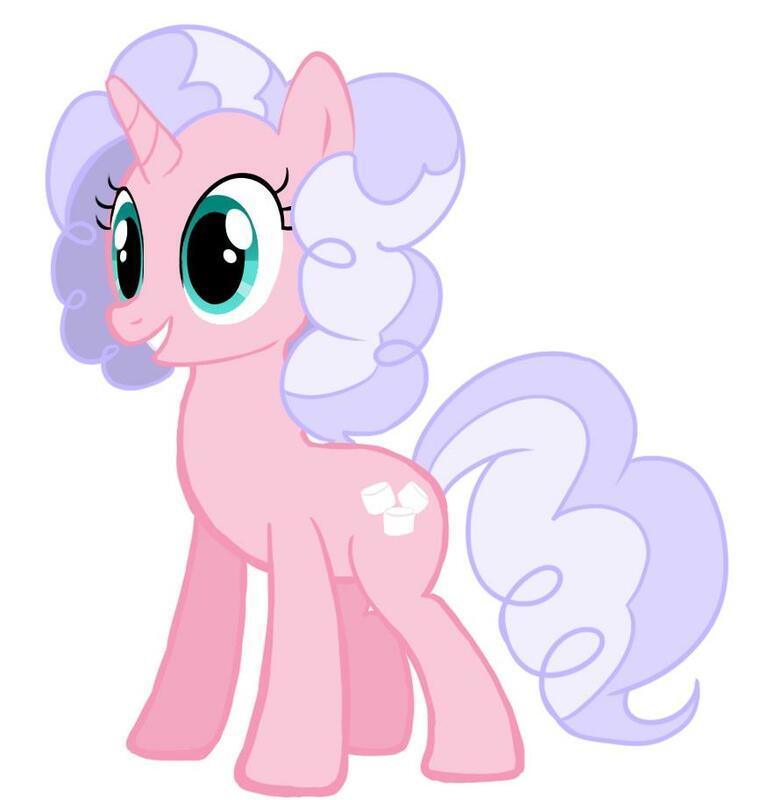 When Marshmallow Daze was but a little filly, she had a bunch of dreams but no idea what her real goal in life was. First, she wanted to become a famous singer, but she was put out by how hard it was to get recognized in Equestria, especially for a pony who wasn't born in Canterlot. Next, she wanted to be a famous archaeologist, as she enjoyed learning about ancient pony civilizations all over the world. But doing nothing but digging was more boring than she thought, especially when she found it wasn't all about treasure! Finally, she wanted to travel all over Equestria and learn different languages of different ponies, dragons, griffons, and more, but on her first trip away from home, she got homesick. So she returned to Ponyville, the poor little filly got quite depressed, thinking she was going to grow up to become the oldest pony in the world with a blank flank. However, it all changed on one winter day when she found out that a friend of a friend of a friend (whose name was Rosie Roo) was feeling sad. Wanting to cheer her up, she made a big batch of hot chocolate with marshmallows and brought it over to Rosie's house. Rosie was so happy that they started crying, telling Marshmallow Daze that other ponies had been making fun of her and she thought nobody liked her. Marshmallow Daze couldn't believe it, and began telling her new friend all of her wonderful, unique qualities. 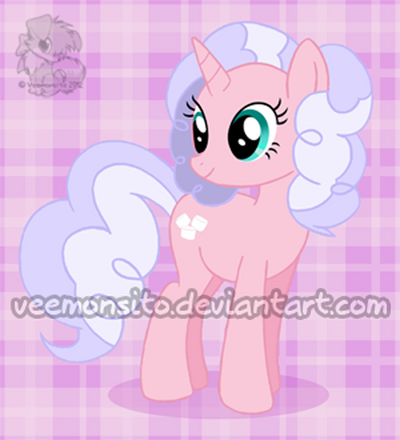 Though she didn't realize it until later, Marshmallow Daze earned her cutie mark; she was able to bring out the sweetness in everyone. Thinking back on it, she realized it was right. All her life, she had brought out the little nuggets of goodness from even the meanest bullies and saddest foals. 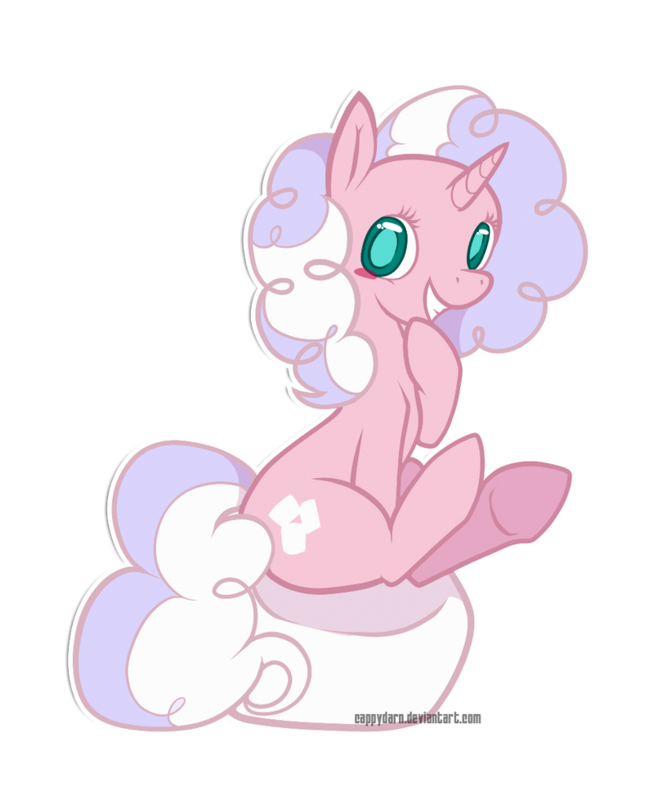 With that, Marshmallow decided to stay in Ponyville and open up a hot chocolate cafÃ© that she calls The Marshmallow, where everypony seems to flock to when they're feeling blue (especially in the wintertime!). I'm always looking for new art of her. I've got a ton commissioned on dA. Here are but a few examples. The fact Marshmallow Daze has a cafe and ponies go there when they are sad makes me think of the theme song to Cheers XD I love that show! HAHA, I never thought of her cafÃ© as a Cheers-type place! That sounds fantastic, though!